Learn how to translate techniques from movies into your drone footage for a cinematic look with Dave Williams! 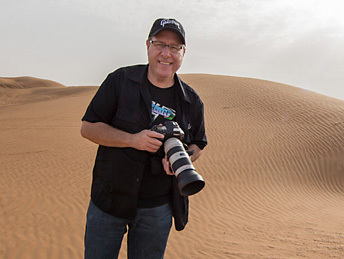 Dave travels the world shooting with all types of cameras, and especially his drones. In this class Dave teaches you how to stand out from the crowd by using your drone with complete creative control to fly like a movie director and create something truly cinematic. You’ll learn how to overcome limitations, do your research ahead of time, configure your drone’s settings for optimal capture, and practice the types of movements used in movies to capture the viewer’s attention and tell your story. Learn how to get your Mavic Air off the ground and configured for the best photos and videos it can capture! Join Terry White and Scott Kelby as they teach you everything you need to know before you fly – the apps to use, the hardware, phone setup, safety tips, and all the advanced features. Each lesson builds on the previous one, starting in the studio and then heading outdoors to see the drone in action. Terry and Scott wrap up the class with tips on transferring the photos from the Mavic Air and how to power it down. This class is perfect for anyone interested in drones or other gadgets.